Kolyada Mykola Terentyevich (Koliada Nikolai Terent’yevich) (born April 4, 1907, in the village of Berezivka, Ukraine – died July 30, 1935 while climbing the Caucasus Mountains, buried in Kharkiv, Ukraine), Ukrainian and Soviet composer, music and public figure. Kolyada was a member of the All-Ukrainian Society of Revolutionary Musicians (VUTORM) and one of the founders of the Association of Proletarian Musicians of Ukraine (APMU). Mykola Kolyada was born in the village of Berezivka, Poltava oblast, Ukraine, in the family of poor peasants. The ancestors on his mother’s side were icon painters. His father, Terentiy Kolyada, was a farmhand of a big local landowner. There were four children in the family, Mykola was the oldest. When Mykola was twelve years old, his father died. Since then, he was the main helper in the family. Mykola’s father and grandfather were known in the village as music lovers and connoisseurs of singing. Both of them played the violin. Mykola inherited his father’s musical abilities. Kolyada’s father taught him to play the violin and sing and he turned him on to the Ukrainian song. Little Mykolka was a gifted child; in the village he was famous for his musical abilities. At the landowner’s estate there was a piano, and Kolyada was sometimes allowed to play it. The boy could play by ear the melodies of Ukrainian folk songs he was familiar with. A lot of people (acquaintances, friends, neighbours, relatives) who worked at the estate came to listen the boy playing. In his village Kolyada was known as the best musician. He was always invited to play at weddings and vechornytsi (Slavic traditional gatherings with music, songs, jokes and rituals). Kolyada studied at the village school. The future composer did well at school; he liked reading most of all. A great influence on boy’s musical abilities development was made by the school teacher Lysenko who was a collector of folk songs and folklore and the organizer of village choirs. Lysenko noticed musical talent of his pupil and advised him to choose the profession of a musician after school. 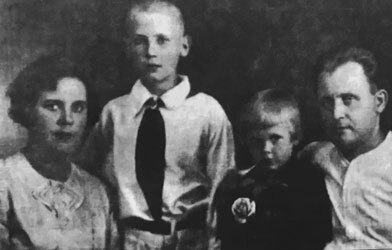 But Kolyada’s relatives, especially his mother, had not considered that Mykola might pursue a musical career, they insisted on his getting more practical profession. Nevertheless, in August 1923, Kolyada went to Kharkiv to join the Music Institute. Though insufficient knowledge did not allow him to enter the Institute, but the Examination Board noticed his extraordinary talent for music and incredible desire to study, and he was enrolled for the preparation courses at the Music Institute. His first music mentor was professor I. Chernov, but the talent of the future composer was noticed by the professor Semyon Bogatyryov. Studying with him, Kolyada began to grow rapidly and intensively as a musician. Professor Bogatyryov didn’t impose his own vision of music, on the contrary, he contributed to the development of his student’s original talent, having seen his extraordinary potential. From the very beginning, Kolyada tried to write his own works. In the early years it was very difficult for him to study because he had a low level of education. Being a diligent and hard-working student, he spent long hours studying and reading books. His first complete works appeared in 1924, they were small piano pieces and several romances and the arrangements of folk songs. These works revealed a peculiar musical style of a young composer, especially his attraction to folk song creativity. In general, folk motives clearly manifested in his works at the beginning of his musical career. This is particularly noticeable in one of his early pieces From Bandura (Iz bandury). In the early years of studies Kolyada was fond of the works of the representatives of the Mighty Handful (Mussorgsky, Borodin and Rimsky-Korsakov). One of his most favourite composers was Beethoven. In 1925 Kolyada met his future wife Antonina Novikova at the musical school attached to the Musical Institute. In 1927 they got married and a year later, before the birth of his son, Kolyada moved to the apartment of his wife’s parents. Kolyada’s wife Antonina with her son Kim and daughter Galina and brother Anatoly, 1939. In 1927-1928 the young composer actively participated in the musical life of the country. In 1928 he joined the leading musical and public union of the All-Ukrainian Society of Revolutionary Musicians (Vseukrayins’ke Tovarystvo Revolyutsiynykh Muzykantiv (VUTORM)), but that year Kolyada left the organization realizing that it did not meet his creative pursuits. Then he became a member of Association of Revolutionary Composers of Ukraine (Asotsiatsiya Revolyutsiynykh Kompozytoriv Ukrayiny (ARKU)), which, however, did not exist long due to some uncertainty of its leaders and differences in the views on the creativity of its members. In 1929 Kolyada with a group of young musicians, whom he met at VUTORM and ARKU, founded the Association of Proletarian Musicians of Ukraine (Asotsiatsiya Proletars’kykh Muzykantiv Ukrayiny (APMU)). He was captivated by work in this organization; it consumed almost all his social and creative energy. One of the mistakes of the APMU was limitation of musical creativity through imposing some genres. On the first place was so-called a mass song (rus. massovaya pesnya, a song written by a professional or amateur composer for individual or chorus singing, in 1920–1950s it was widespread in the Soviet Union). Kolyada along with other members of the AMPU wrote some mass songs – Komsomol’ska, Magistral’, Anthracite (Antratsit), Song of the Stoker (Pisnya kochehara). While in AMPU, his interest in the folk song faded slightly, but the folk song basis continued to prevail in his works. After AMPU’s liquidation in 1932, Kolyada joined the newly established Orgbureau of the Union of Soviet Composers (Orhbyuro Spilky Radyans’kykh Kompozytoriv). While a member of the music and public organizations, he alienated from the Ukrainian folk song, later he returned to it and plunged into work. Folk songs arrangement such as Oy u lisi na yalyni, Oy oddala mene maty, Oy na horu kozak vodu nosyt’, Zazhuryvsya chumachyna, Oy u moho brata, Naymytsʹka (Home Maid) and many others proved to be real masterpieces and were successfully performed by various soloists and choirs, and were the brightest numbers of their programs. At that time Kolyada composed a symphonic poem The Storm (Shturm) that became his greatest work. He participated in the theatrical life of Kharkiv (1920-1930), collaborated with Les Kurbas. 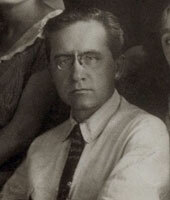 In 1929-1932, Kolyada worked in the Kharkiv theater for working young people. One of the grandiose, but unfortunately, unrealized ideas of the composer was the idea of creating a great symphonic piece, which was to unite a series of folk songs dedicated to women. Kolyada dreamed of creating an opera. He chose a plot and corresponded with the Ukrainian playwright Ivan Kocherga planning collaboration, but this idea was not realized due to the tragic events in the life of the young composer. In addition to music, Kolyada had a lifelong fascination with sports. The composer adored the mountains and was professionally engaged in mountaineering and skiing. Starting as a student of a group of climbers, very soon Kolyada became an instructor and he taught the beginners, spending a lot of time in the Caucasus Mountains. The composer enchanted by the mountain peaks on returning from the next trip, immediately began to plan a new one. He used to say that the summer tours of the mountains gave him the energy and inspiration to work in winter, creatively adjust and promote fruitful musical work. 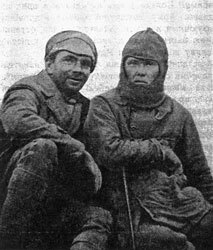 Among the brightest Kolyada’s expeditions were climbing the Elbrus in 1928 and 1931; participation in the Tien Shan campaign in 1929; ascent to the Tsaneri Glacier in 1933, and in 1934 only working at the Odessa Film Studio, where he wrote music to the movie Great Game (Velyka hra), Kolyada did not go to the mountain, which greatly affected his health. In addition to mountaineering, he was fond of skiing, Kolyada was a wonderful skier and he even organized a ski club in his native village in the winter of 1930-1931 that worked fruitfully for a long time. In the summer of 1935, Kolyada once again went to the mountains planning together with the group to climb Ushba, one of the most notable peaks of the Caucasus Mountains and famous for constant and threatening fast-moving ice. While crossing the dangerous area the ice sheet began to move. A single blow to the head caused instant death. The rescue expedition managed to get the body of the composer, and he was taken subsequently to Kharkiv, where he was eventually buried.